In a food processor or blender, combine all the ingredients except the strawberries. Puree until very smooth (about 2 minutes). 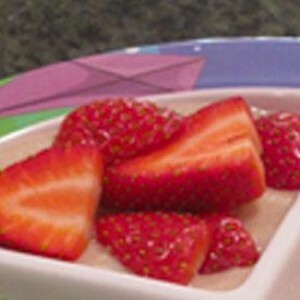 Serve on a dessert plate with banana cream under strawberry slices.